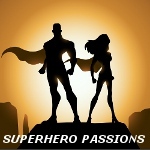 By voting on the books listed, you can help to determine whether a book is related to the theme of Superhero Passions, or whether it is a non-related, but popular, book among the members of the site. If you believe a book in the list below is 'on theme' with Superhero Passions, vote that it is relevant. (If you don't know, just skip it.) Over time, we hope to have a library of books that should be of interest to Superhero Passions members. Perfect for Moore fans, creative writers of all media, and librarians! Alan Moore, Hugo-Award winning author of WATCHMEN and the acknowledged master of comic book writing, shares his thoughts on how to deliver a top-notch script! Writer Garth Ennis and artist Lewis LaRosa take Punisher to the MAX - literally - as thehunter becomes the hunted! "Jack Knight is a rabid collector, operating an antiques and collectibles store in the heart of Opal City. The Skrulls, a shape-shifting alien race, put into motion a plan to secretly infiltrate every super-powered organization on Earth with a full-scale invasion.